Welcome to one of North Columbus's most scenic communities, Hickory Grove! Hickory Grove is N. Columbus's best kept secret, with its' convenient while secluded location. Enjoy two lovely parks, featuring a gazebo for entertaining, large wooden swings for viewing the sunset, and a playground complete with benches. Sidewalks and streetlights throughout make this a unique community and a pleasure to live in. 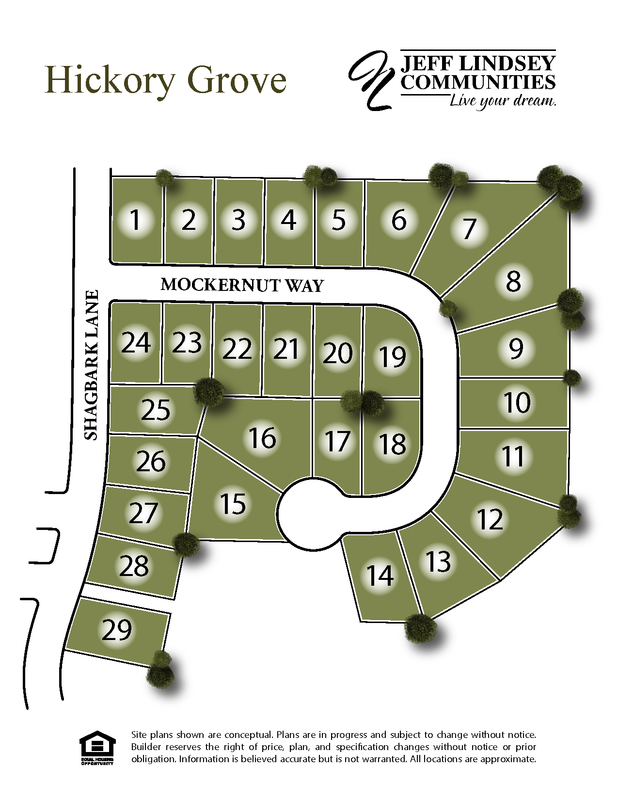 Phases 2 & 3 have only 18 lots remaining! Come pick yours today for your new home! From Interstate 185 and J R Allen Pkwy (U.S. HWy 80) go east on J R Allen Pkwy 7.4 miles. At U.S. HWY 27, U.S. HWy 80 will changes names to Beaver Run Road. Travel 1 mile on Beaver Run Rd and turn right on Psalmond Rd. Hickory Grove will be on the right. 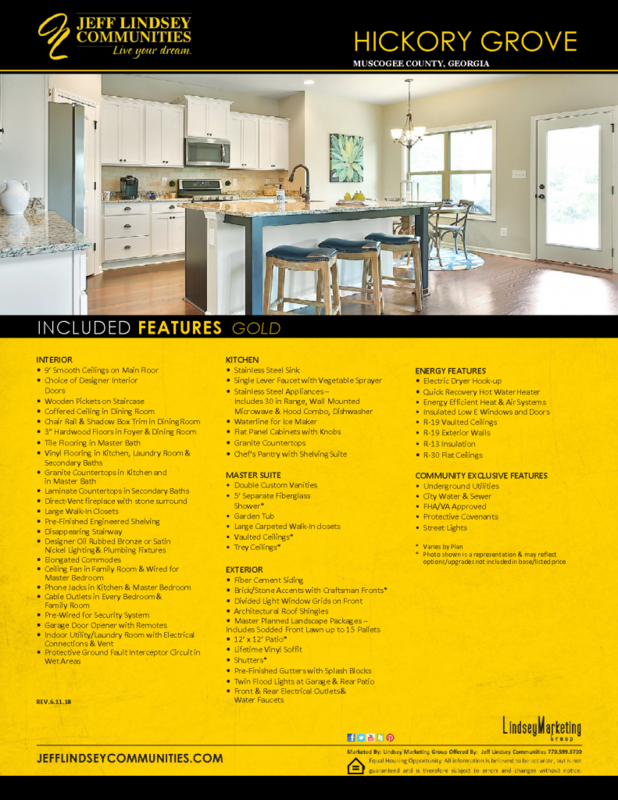 Contact us for updates on Hickory Grove homes when available.